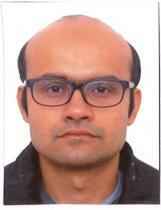 Manohar Kumar completed his PhD in Political Theory from LUISS University, Rome in 2013. He has a Masters in Development Studies from Tata Institute of Social Sciences, Mumbai and a Bachelors in Economics from Hindu College, University of Delhi. He is currently finishing a co-authored book project titled ‘Speaking Truth to Power. A Theory of Whistleblowing’ slated to be published in 2018. Prior to joining IIIT-Delhi, Manohar held postdoctoral fellowships at IIT Delhi (2015-2017) and AMSE, Aix Marseille University (2017-2018). Moral and Political Philosophy, Digital dissent, digital citizenship, whistleblowing, civil disobedience, democratic secrecy, and epistemic injustice.